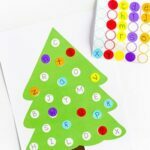 This lights activity for preschoolers is a fun way to learn lowercase and uppercase letters of the alphabet during the holiday season! We left it on the wall and played with it often. 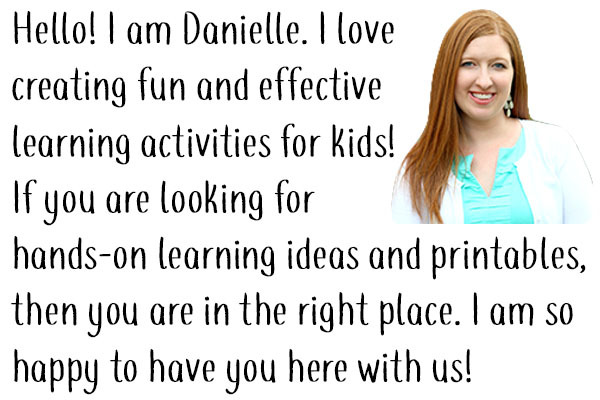 This week the Playful Preschool theme is lights. We’ve been working on math a lot around here, so I thought I would add this fun literacy activity to the plan for this week. 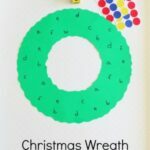 This is inspired by Decorate the Christmas Tree Activity with ABCs over at hands on: as we grow. I thought it was such a smart idea! 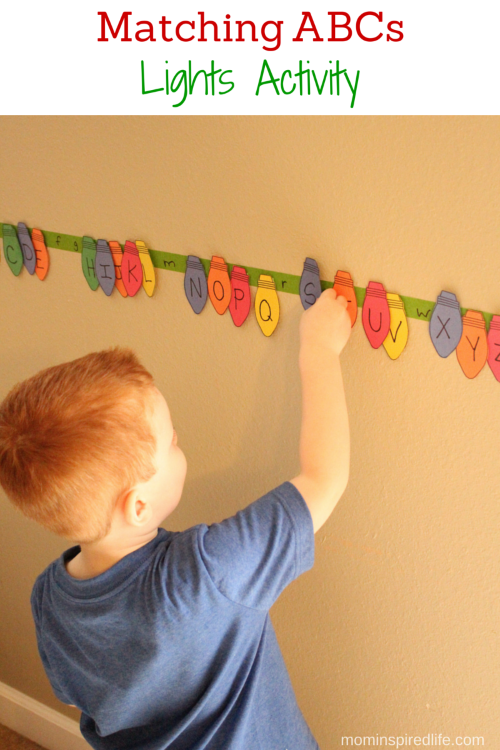 Evan can identify most of the uppercase letters in the alphabet, but he is just learning the lowercase letters. 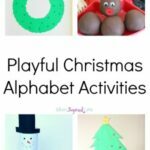 This activity gave me a chance to reinforce uppercase letter identification and provide extra practice with lowercase letter identification. As usual, we worked on letter sounds at the same time. I find that activities like this provide for natural discussion of the sounds the letters make. I just slip in questions and thoughts about certain sounds while he works on the activity. This way I don’t feel like I am drilling him. 1. Put the colored construction paper in the printer. You may need to trim it down a bit to get it to fit. 2. 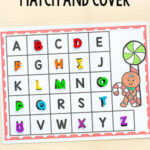 Use this printable to print the light patterns onto the paper. 3. Cut the lights out. 5. Make small tape loops and add them to the back of each light. 6. 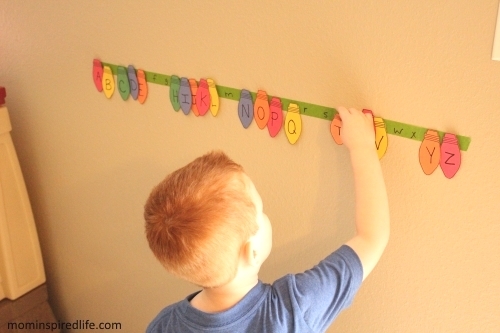 Put a long strip of painter’s tape on the wall and write the lowercase letters on the tape. Lay the lights out on the table face down so that the tape is won’t stick to your surface. 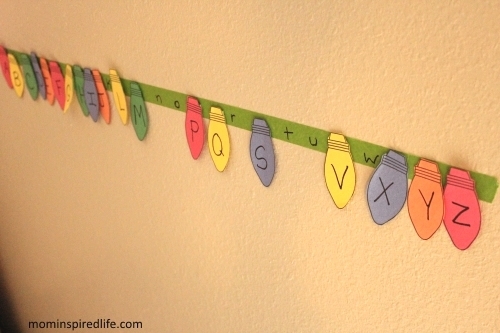 Have your child pick one up, identify the letter on it and then find the match on the tape strip on the wall. This is still hanging on our wall so we can continue to play with it again and again! 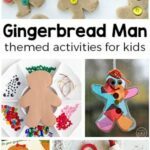 Check out all the other PLAYful Preschool posts below! 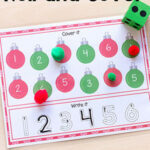 Lights on the Tree Sensory Play by Fun-A-Day!